Winter Festival of Lights Niagara Falls Tour - equinoxbus.com - Charter Bus & Sightseeing Tour Operator serving the Greater Toronto Area, Hamilton, Ottawa, Niagara Falls, London, Stratford, Kitchener-Waterloo, Guelph, Brantford, Burlington, Oakville, Cobourg, Belleville, Napanee and Buffalo, NY! 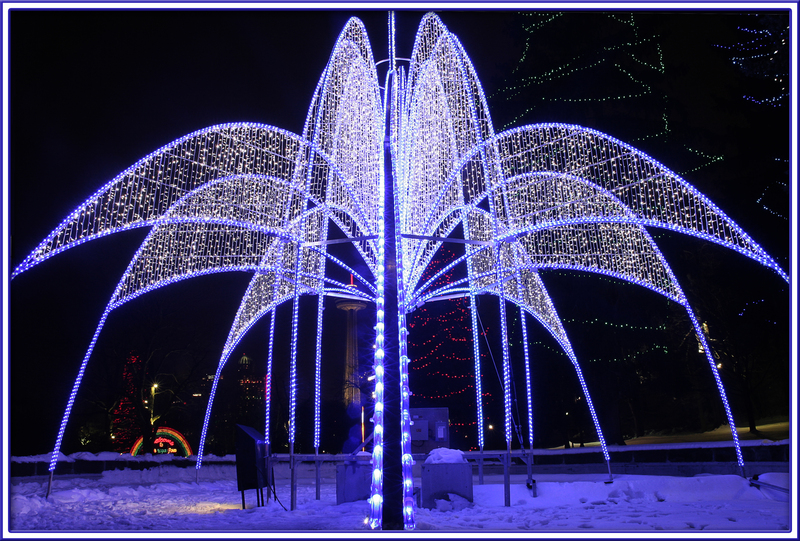 Experience this festive evening tour of Niagara Falls! 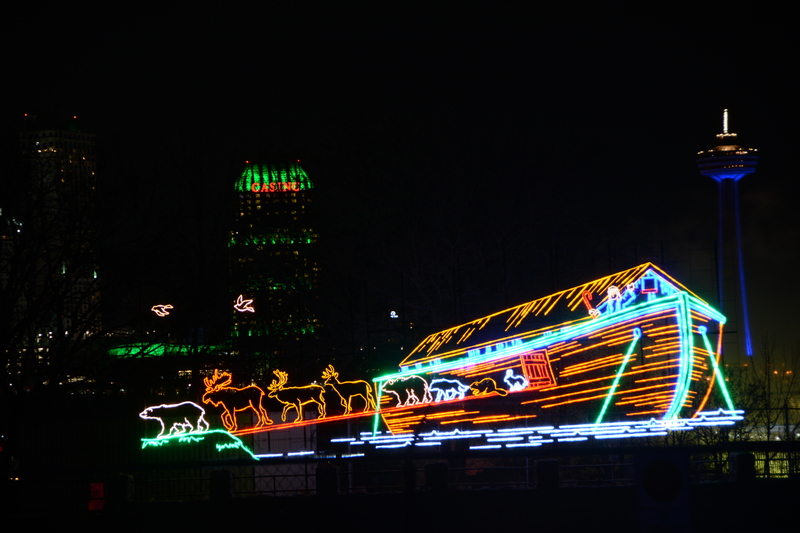 Enjoy the Lighting Displays offered by Winter Festival of Lights! Also, admissions to Journey Behind the Falls, Niagara's Fury and Buffet Lunch are included! Scroll down to see a video of the Winter Festival of Lights! 3 convenient pick ups: Scarborough - Town Centre Court, Downtown/Union Station - On York Street and Front Street West and Mississauga at McDonald's - 1050 Dundas Street East! Ride through the Historic Town of Niagara-on-the-lake and Niagara Parkway! Experience Journey Behind the Falls! Voyage to the Falls Cruise will be offered in place of the Journey Behind the Falls until November 30! Buffet Lunch in Niagara Falls! Scenic Ride and Photo Stops of the Winter Festival of Lights lighting displays! Fireworks on Fridays and everyday from December 23 to 29! Experience Laser Light Show from December 22 to January 7! Start this Festive with friends as we proceed straight to the Outlet Collection of Niagara outlet mall where you can get discount prices on brand name clothing and accessories! We then enjoy a delicious Buffet Lunch! We then proceed to Niagara Falls! Our first stop in Niagara Falls is Table Rock Welcome Centre where you will also get to experience Journey Behind the Falls and Niagara's Fury! We then take a scenic drive on the Niagara Parkway to the Historic Town of Niagara-on-the-lake! It is now dark and this is where the fun of Tour begins, the scenic ride and photo stops of the Winter Festival of Lights lighting displays! On Fridays there is Fireworks to end the evening! Arrival time back in Toronto is approximately 10:30pm! Tour Packages Pricing will be available by the end of October! 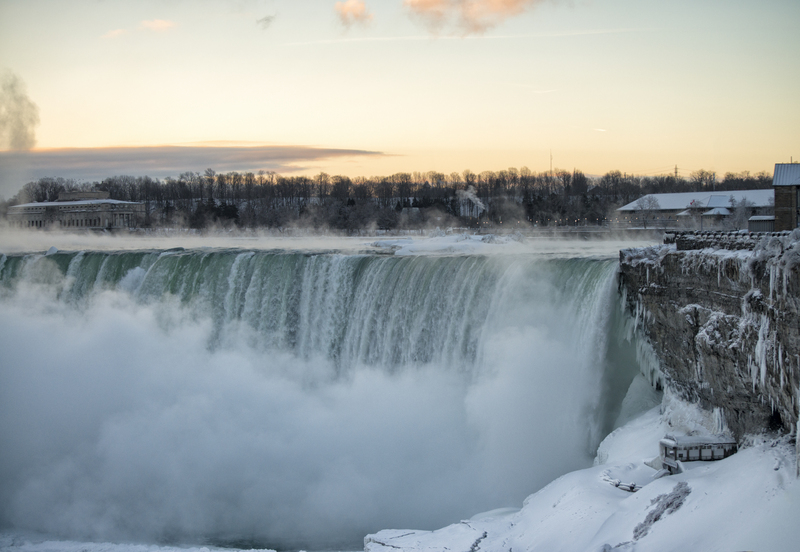 Experience the Winter beauty of Niagara Falls! Remember our Van has free on-board Wi-Fi and Power/USB outlets! 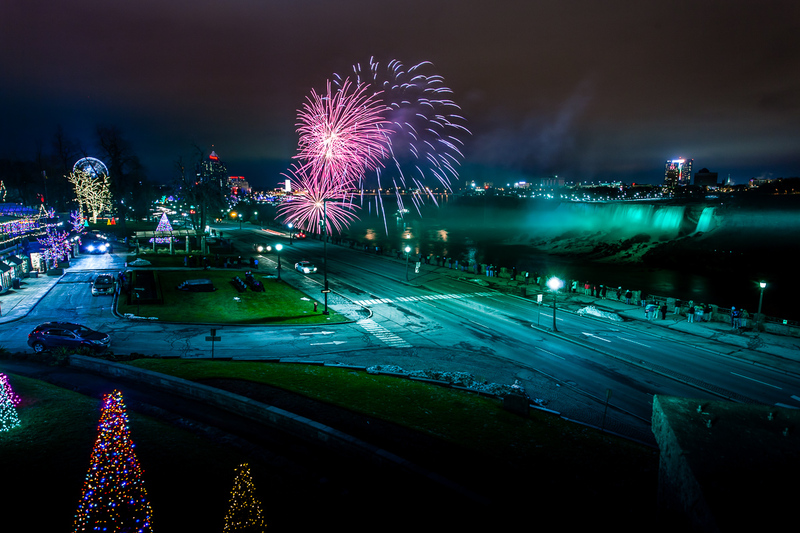 Photos and Videos used are courtesy of Winter Festival of Lights & Niagara Parks Commission and are used with permission by Winter Festival of Lights and Niagara Parks Commission. 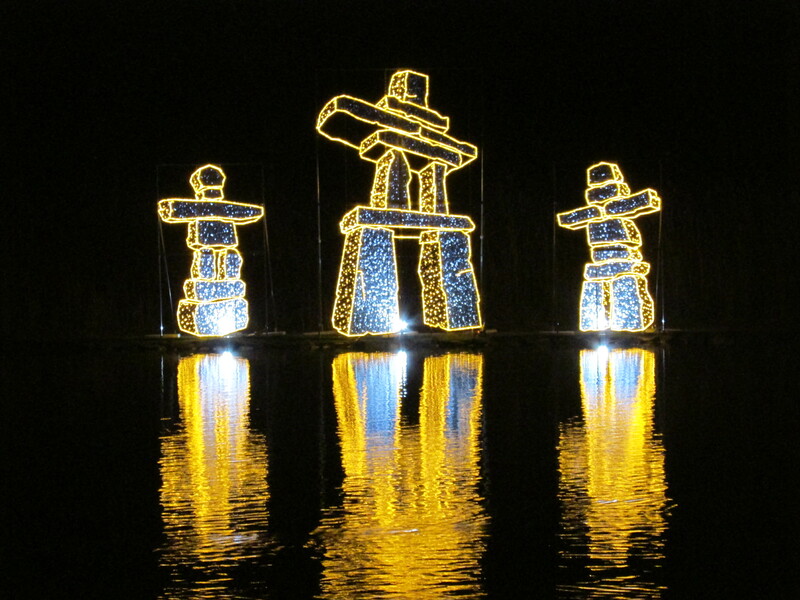 Images used are copy written and belong to Winter Festival of Lights and Niagara Parks Commission. Fireworks can be cancelled at any time due to inclement weather such as high winds or rain. There will be no refunds of any kind should inclement weather happen during the Tour. Should you choose not to part take of any included Tour activities, or you show up to the named Tour(s) late, you are considered a no show and both vendors will not refund our reservation fees and therefore we will not issue any refunds of any kind. Participants who are not residents of Ontario should purchase Travel Insurance prior to departure. Our Insurance only covers Bodily Injury and Property Damage in an event of a Collision in our Public Vehicles. Other Attractions can be purchased through Equinox Bus Lines whether on Tour or before Tour. Please request information with your Driver about other attractions. Equinox Bus Lines has accounts with Niagara Parks Commission, Skylon Tower and Hornblower Niagara Cruises.